US marshals seized transmission equipment from TOUCH 106.1 FM in Boston’s Grove Hall neighborhood Thursday in a crackdown on unlicensed radio stations. 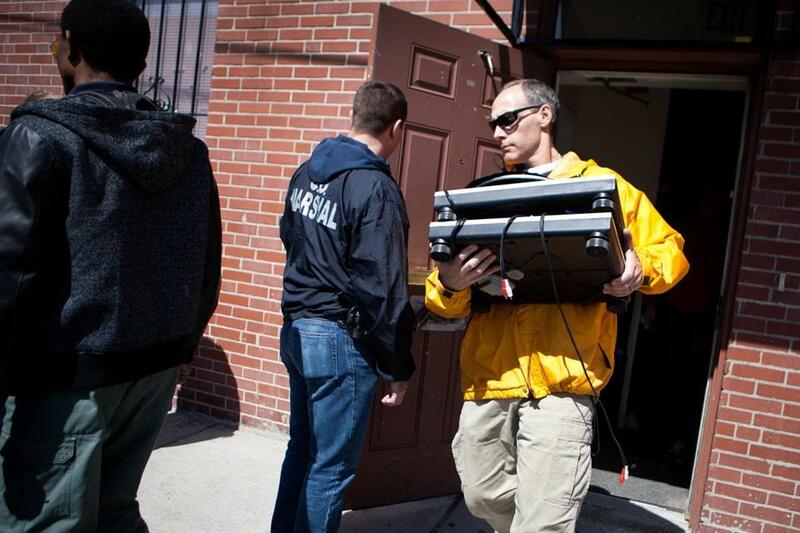 Federal agents shut down an unlicensed radio station in Grove Hall Thursday that is popular in the African-American community and seized transmission equipment in a crackdown on illegally operating stations, according to the US attorney’s Boston office. In the past two days, authorities put the lid on TOUCH 106.1 FM and two other stations in Dorchester and Brockton, said Christina Sterling, spokeswoman for the US attorney. Authorities said little about the other stations, but confirmed they opened a previous case against TOUCH and its founder, Charles L. Clemons Jr., after receiving a complaint last year that Clemons was using his station to promote his unsuccessful 2013 mayoral bid. “Unlicensed broadcasting threatens the integrity of the regulatory structure established by the Communications Act to prevent chaos in the radio spectrum,’’ Federal Communications Commission official Vincent H. Bostic, who investigated the station, said in court documents. News of the raid sent shockwaves through Boston’s African-American community, where the station filled a vacuum on the airwaves after the station WILD-AM was sold. Clemons, 52, of Dorchester, appeared emotional but resolute Thursday, vowing “we will not be silenced” and saying he will fight the shutdown. He acknowledged running an unlicensed station, but said it “was the right thing to do’’ to fill a gap in the minority community. Obtaining a license to operate a station is expensive and often out of reach for many minority broadcasters, Clemons’s radio supporters said. Clemons said his station helped raise money to feed the homeless, for families faced with the sudden burial of a relative, and for people struggling to find work. Station founder and host Charles Clemons (right) vowed to fight TOUCH 106.1 FM’s closing. He founded the station in 2007, calling it the fabric of the black community and attracting politicians of all stripes eager to get their message out to listeners along the spine of Blue Hill Avenue. In addition to soulful and other music popular in the black community, the station was a sounding board for listeners concerned about diversity in city government, rampant shootings, and the chronic employment gap. 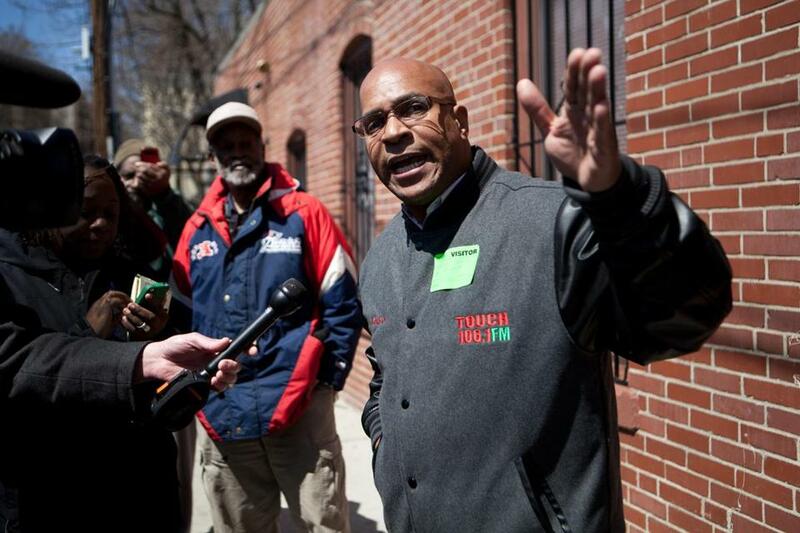 “If you want to know what is going on in this community, the only station that will let you do that is TOUCH 106.1 FM,’’ said Arthur Weeks of Roxbury. Mayor Martin J. Walsh refrained from commenting on specifics about the shutdown, citing the investigation. “The mayor recognizes and understands the value that the medium of communication provides to the community, and he will continue to work with community leaders to assess the situation going forward,’’ said spokeswoman Kate Norton. The 100-watt station is in Grove Hall, at 5 Cheney St. Its owners are listed as Leroy McLauren and John Laing, who did not respond to a request for comment Thursday. The station is in the basement of a nonprofit run by Clemons’s mother. In court documents, US authorities detail their efforts to gain access to the station and their attempts to get Clemons to respond to inquiries. In 2008, the FCC slapped Clemons and the station with a $17,000 fine for willfully running an illegal radio station. A US District Court judge issued a summary judgment against Clemons in February 2012 for not paying the fine. “Mr. Clemons neither appealed the forfeiture order nor paid the $17,000 forfeiture,’’ court documents said. In August 2013, the US attorney launched another investigation after receiving a complaint that Clemons was using the station to promote his mayoral campaign, documents said. And in March, after numerous attempts to gain entry to the station, federal authorities sent a warrant with a warning by certified mail to Clemons, McLaren, Laing, and the Neighborhood Development Corp. of Grove Hall, where Clemons’s mother, Virginia Morrison, is executive director. On Thursday, Clemons said he had finished his radio show when federal marshals knocked on the front door. They had come to seize all radio station transmission equipment, antennae, radio frequency power amplifiers, radio frequency test equipment, and other devices used to transmit signals.